The cross of Christ, I never heard of it. No, not in church. I never heard a sermon on the message of the cross, until my first Easter sunday in a Word of Faith church. I found out that the message I did hear, was a recycled message that anybody could find online. The message was staged, and the pastor jumped down from the pulpit with a hop and stylish skip. He had, what Pam Sheppard calls a gimmick. The hop, the stylish skip, and the jumping from the pulpit, with a flourish might as well have been a stage show. The cross of Christ message the pastor gave never touched me. I sat there admiring his alligator shoes, and fancy pin stripe suit. Why? Because I was not saved then. I thought I got saved while listening to a Benny Hinn broadcast. Benny Hinn called my name, he said ” Marlene you are saved”. My Mom looked at me with glee, and led me into the sinners prayer. I felt a little sorry for sins, I felt good and I wondered what God would now going to give or do for me. The cross of Christ, the resurrection power, Godly sorrow and repentance were not found in me. It was a set-up from the devil. I had a false conversion. I had what Pam Sheppard has coined a ” counterfeit birth “. My friends, there is no such thing as a backsliding Christian, for as the Apostle Paul says, in the Book of Hebrews 6:4,5,6 it is impossible. Back to the story of how I got truly saved. My son’s father was deathly sick and hospitalized. I realized that I was bitter towards him. I felt bad about that and begun to pray. I kept seeing a vision in front of me of the cross of Christ, I kept seeing Jesus on the cross and at first, did not know why. I had pledged and made an unholy alliance with Satan. As I shared, my son’s father Brett was ill and I kept seeing the cross of Christ, and Jesus on the cross before me in vision. I had been praying about my own bitterness and reluctance to visit him. I called someone who reminded me of what Jesus had said on that cross. Jesus said, ” forgive them father, they know not what they do”. The word of Christ prompted me to visit Brett Sr. It was the day he had slipped into a coma. I went to his bedside. I held his hand and sung his favorite church songs. Kissed him on the forehead, and told him I forgave him, and forgave myself. He passed away that night and is greatly missed. I was saved in my bedroom as the days progressed. I realized what a hypocrite I had been. I was never saved. How could I have been. I had returned to drugs, fornication and the world. The message of the cross never made a dent in me, I never heard it. When I did hear it once it was from an un-saved man posing as a pastor. I had looked death in the face because my son’s father died. I knew that if I died then, I would have gone into hell. But it was not hell itself that scared me. What frightened me, was that I would be totally cut off from God. I had fancied myself a spiritual person, a person who loved God and wrote Christian poetry. Those moments that I sat in my room, I knew without a shadow of a doubt that I was neither spiritual or saved. My so-called love for God was not there. My service to the church and ministry meant nothing. My life in church flashed before me. I had been a works salvation. A works salvation is a ” counterfeit birth “. I was churched, as Pam would say. I had been on church boards and committees and such, but I was un-saved. I had written fancy Christian poetry, dripping with fleshy sentiment. When trouble came, I faltered from a crumbling foundation. My faith was never built on the rock. I was a wayside ” counterfeit birth”. My bitterness flashed before me. I harbored bitterness against those who I thought had wronged me. I suffered clinical depression, the open door of un- forgiveness had ushered in a demonic spirit. How on earth is one saved and still having bouts of depression? Where is the power of the cross in that? I was a liar and a fake, the God I thought I loved was just then drawing me to him in my bedroom. I cried, and I cried and I repented in those tears. As I lay in my bed the Lord bought me to Isaiah 53. Who has believed our report? And to whom has the arm of the Lord been revealed? I had never believed the report that Jesus Christ of Nazareth died on the cross, that gruesome death but rose in the flesh. I never understood myself to be a wretched sinner. I had never understood, that this man Jesus, who was man and God in the flesh had to die in order for me to be saved. I never knew that the sacrifice of his very life was needed to cleanse. What price can you put on a life? What price can you put on the life of the Son of God. As I read through Isaiah 53 and learned of the suffering servant, my joy became full. I knew why the Lord drew me to him by showing me a constant vision of Jesus on the cross. 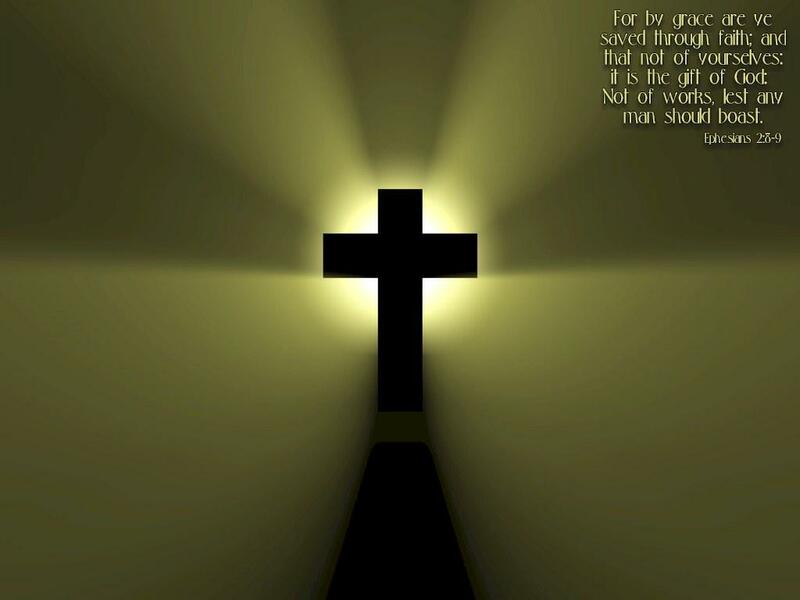 The work that was done on the cross proved the complete power of God– which no devil can match. Devils have no power to bring a dead body to life. Christ was dead but now alive in the flesh. The disciples had seen and believed this 2000 years ago, and I was seeing and believing it for the first time. And it was the same power that lifted Jesus from the cross that was now lifting me up. I receive and trust every word that Pamela Sheppard teaches. For she speaks truth, the organized church is a conglomerate of abandoned buildings loaded to the brim with demons and fallen angels. The message of the cross of Christ is not preached. The abominable sinners prayer and I accept Jesus prayers save no one. When I hear folks say they felt good, or they felt peace, or they felt calm, when they got saved I know something went wrong. If there is no mention of the cross, the resurrection of the flesh body of Christ or a Godly sorrow and repentance, Pam Sheppard’s coined term applies…they were NOT saved, but had a ” Counterfeit Birth”. My last word is this: sign-up for deliverance mentoring with Pam Sheppard, God’s end-time Shepard who has had a combination of 38 years experience as a pastor, licensed therapist and deliverance counselor. As for me, without her my own knowledge of truth was sorely lacking. In fact, I am in a season of re- learning God’s truth and unlearning false doctrines I had been exposed to.